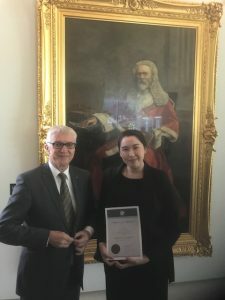 All at Bell Legal Group extend their warmest congratulations to Josephine Vernon who was yesterday admitted as a legal practitioner in an Admission Ceremony held at the Supreme Court of Queensland in Brisbane. Josephine has been working hard as a Graduate Law Clerk at Bell Legal Group whilst she completed her studies. John Fradgley, the Head of Bell Legal Group’s Estate Planning, Wills, Trusts and Superannuation team, moved Josephine’s admission before the Court.